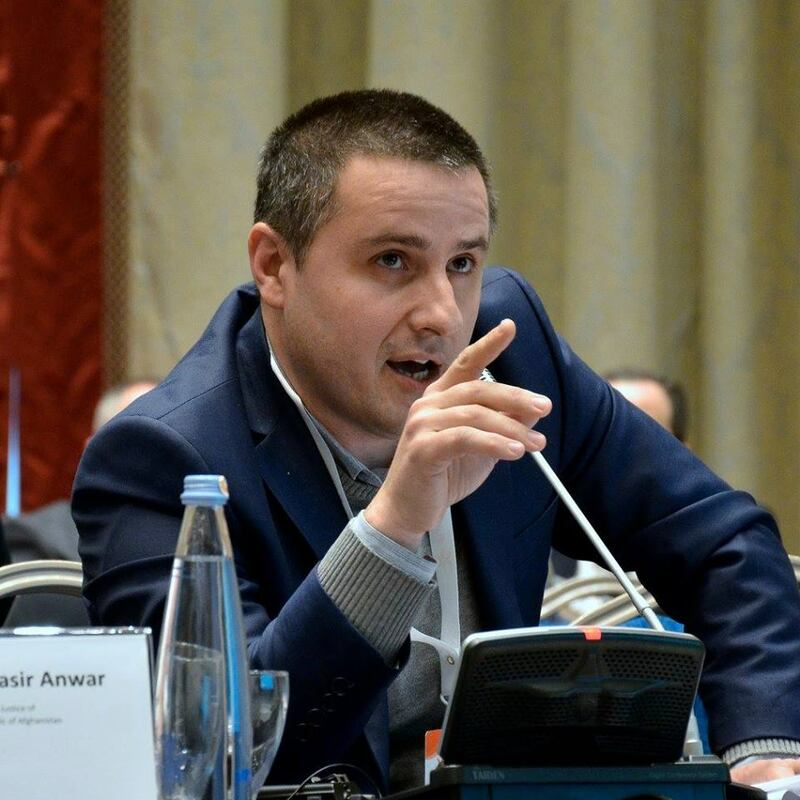 Mamuka Tsereteli is director of research at the Central Asia-Caucasus Institute at Johns Hopkins University’s School of Advanced International Studies. Mae West once said that “an ounce of performance is worth a pound of promises.” For Georgians, to whom NATO promised eventual membership in the alliance back in 2008, truer words have never been spoken. NATO’s standard procedure is to require candidate member states to fulfill a Membership Action Plan (MAP), and the alliance has specifically declared its intent to draw up such a plan with Georgia. Despite that, and years of toil and sacrifice by Tbilisi to improve its standing as a candidate, NATO said last week it would not invite Georgia to sign a membership plan at this year’s NATO summit conference, in September. Amid Russia’s aggression towards Ukraine, however, the costs of leaving promise unmatched by performance will be felt by the alliance as a whole, not just Georgia. Washington urgently needs to reconsider – with courage and imagination – its position on Georgia’s NATO aspirations. This is a dangerous step, particularly when Ukraine is moving through such a perilous, uncertain transition, having just signed its delayed association agreement with the EU as it fights pro-Russian separatists backed by Moscow. Indeed, it is not clear what, if anything, Western allies will have obtained in return for acquiescing to Russia’s perceived demands on Georgia. After giving Georgia some urgent economic support during the short conflict over South Ossetia in 2008, Washington has studiously hewed to a cautious line on Georgian ambitions, supporting the country’ territorial integrity but discouraging Tbilisi from developing defensive military capabilities. This has not stopped Moscow from continuing to pressure Tbilisi, most recently by hardening the barriers it has installed at the administrative boundary with South Ossetia. Nor, of course, did Western caution over Georgia deter President Putin from seizing Crimea and destabilizing Ukraine’s southeast when the Ukraine crisis erupted this past February. To the contrary, Putin employed the same, tired rationale for his actions there as Moscow employed for South Ossetia – the 2008 Western-backed independence of Kosovo. While the West has held to the same, skittish line over Georgia since 2008, Tbilisi’s new government has embraced a far more circumspect tone towards its larger, northern neighbor. Meanwhile, Putin’s challenges have changed, becoming far more complex now than when fighting broke out six years ago. The Russian president knows that he is presiding over a declining state and is playing accordingly. His actions in Ukraine evince his need for short-term boosts to his popularity, and for the consolidation of the Russian state and power. That makes him dangerous and aggressive, but also more selective. With the outcome in Ukraine so uncertain, and with more serious Western sanctions a possibility, Putin cannot afford now to open another front with the West. Therefore, caving in to Putin on Georgia is unnecessary and counterproductive, serving only to embolden the Russian leader in Ukraine, the Caucasus and elsewhere. In other words, hesitation over Georgia is as dangerous as headlong recklessness. The truth is that Georgia no longer needs a MAP. The country has all the political instruments it needs to lead it to membership. Since 2008, the NATO-Georgia Commission has helped shape the country’s broad reform efforts in a way to support eventual Georgian membership of the alliance. In these same six years, Georgia and NATO have sustained an Annual National Program, which is the major element of any formal MAP for aspirant countries. In terms of substantive qualifications for membership, Georgia is rapidly progressing towards military interoperability with NATO forces. It already is a contributor of armed forces to NATO operations, notably in Afghanistan. And it has made major progress in becoming a European democracy. What Georgia needs, more than any membership plan, is actual membership in the alliance, buttressed by bilateral security guarantees provided by the United States. These are what ensure stability and predictability for the country, helping the country to attract much needed foreign direct investments, and with that, jobs, economic growth and prosperity, and stability. By reaffirming Georgia’s eventual place in Western institutions, the alliance would send an encouraging – not provocative — signal around the region, including to Ukraine, about the value of making difficult reforms. By any measure, Georgia has already made standout efforts to meet NATO’s exacting requirements – enough that it actually could be admitted to the alliance now. In a few short years, Tbilisi has made impressive progress on democratic reforms, on liberalizing the economy and on civilian oversight of the military. And it has sacrificed for NATO, providing the largest per capita troop contribution of any country to the NATO mission in Afghanistan. Skeptics insist that bringing Georgia into NATO is dangerous since it cannot be defended against Russian invasion. Moscow, it is argued, would have an incentive to attack Georgia, believing that the West would not risk all-out war to invoke the alliance’s Article 5, which provides for the common defense of members. While it is true that Georgia cannot defend itself alone, it is also true that, with adequate military support, Georgia’s military can readily defend its mountainous terrain from Russian assault. It is worth remembering that Georgia and Russia lost about the same number of soldiers during the five-day war in August, 2008, and a small number of Georgian special operations forces stopped a much larger Russian unit in South Ossetia, wounding the commanding general. It was Russia’s air dominance, and Georgia’s corresponding lack of anti-aircraft and anti-armor weapons as well as its lack of training in territorial defense, that determined Russian military success. NATO and US defensive weaponry, as well as training, will serve as a significant deterrent to Russian aggression against its smaller neighbor. The singular focus on the burden that Georgia would impose on the alliance also needs to be balanced with consideration of the wider contribution the country makes to Western security. With Western interests challenged in the Middle East by Russia, Iran and Islamist fundamentalists, maintaining strategic Western presence in the potentially volatile south Caucasus is even more important. The planned US and NATO withdrawal from Afghanistan creates a premium on securing stable, pro-Western partners. Georgia is a central part of the East-West energy and transportation corridor, providing pipelines, ports, railways and highways to bring vital energy resources from Central Asia. More than one million barrels of oil and oil products are transported via Georgia every day, and soon about 20 billion cubic meters of natural gas also will transit Georgia annually. Some of the gas molecules from the Azerbaijani section of the Caspian Sea will travel as far as Italy, via the TANAP pipeline in Turkey, and the Trans-Adriatic pipeline via Greece and Albania. This East-West corridor via the South Caucasus has the potential to become the shortest and fastest land route for container shipments between Europe, the Mediterranean and China. It may be true that there are alternative means of access to these Central Asian resources, and alternative transit routes between China and Europe, but their names are Russia and Iran – in other words, not promising alternatives at all. Instead of backing off its promise to Georgia, NATO should seize the opportunity at its September summit in Wales to advance Georgia’s candidacy without handing Moscow any pretexts for further mischief. The NATO-Georgia Commission and Annual National Plan for Georgia provide a sufficient basis for Georgia’s incorporation into the alliance. With new language in place that permits Georgia to join NATO without a MAP, this political obstacle to Georgia’s membership will be eliminated. And at last, the alliance’s promise will be matched by performance. 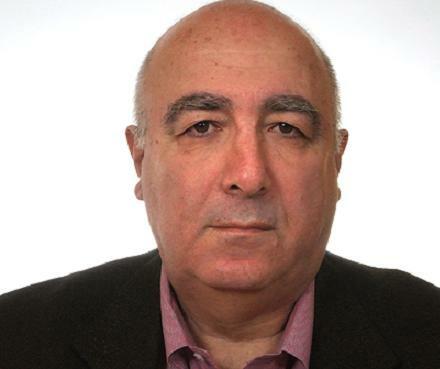 Edward P. Joseph is a senior fellow at the Center for Transatlantic Relations, at Johns Hopkins University’s School of Advanced International Studies (SAIS). 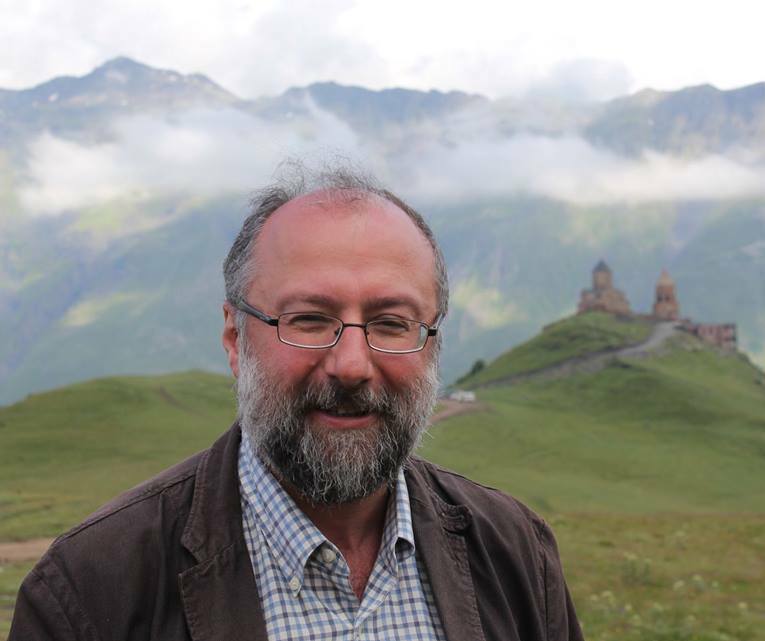 Mamuka Tsereteli is director of research at SAIS’s Central Asia-Caucasus Institute.